Why study MA Education at Middlesex University? The core focus of this innovative MA is exceptional education. Our part-time course meets the needs of those who wish to further their knowledge of the theory and processes of education, but cannot commit to full-time studies. The course may be undertaken on an individual or collective basis, with groups of teachers and education professionals both eligible to enrol. Structured so that assignments can be built into your working practice, the course will maximise the effectiveness of your teaching, leadership and management. We encourage participants to evaluate existing practices, develop new approaches and become immersed in action enquiry based research. Middlesex's extensive history of delivering leading education courses ensures that you will benefit from the guidance of outstanding tutors who bring a wealth of professional experience to their teaching. As research-leaders, our academics are widely published across disciplines such as multilingualism, diversity and childhood development. Accreditation of Prior Learning and Accreditation of Prior Experiential learning is available in all but the dissertation module, allowing you to gain credit for prior study and experience therefore shorten your overall study period. Accreditation of Experiential learning will be through the production of a portfolio of evidence mapped against the learning objectives of the module that you wish to have accredited. There will be an extra fee for assessment of this portfolio. As a participant of this course you'll receive a free electronic textbook for every module. What you will study on the MA Education? Assessment includes assignments, portfolios of evidence and action research projects. The learning process involves a combination of selective inputs, workshop activities, school based work, self-directed enquiries and research, and online learning. The modules can be undertaken at a distance from the University. We understand that our students work in very busy environments, therefore we look to provide support wherever possible. Our principle aim is to tailor assignments to your institutional and personal needs, then use practitioner action enquiry and reflective practice as a learning model. All students will be enrolled on the MA course but may opt out at the Postgraduate Certificate or Postgraduate Diploma stage. The course title can be negotiated with the Programme Leader within the agreed pathways- that is, the student may wish to choose what appears in brackets beside the award title 'MA Education' on their academic transcript. For students undertaking the course as an individual student, (not part of a group), you must choose one of the following modules below. 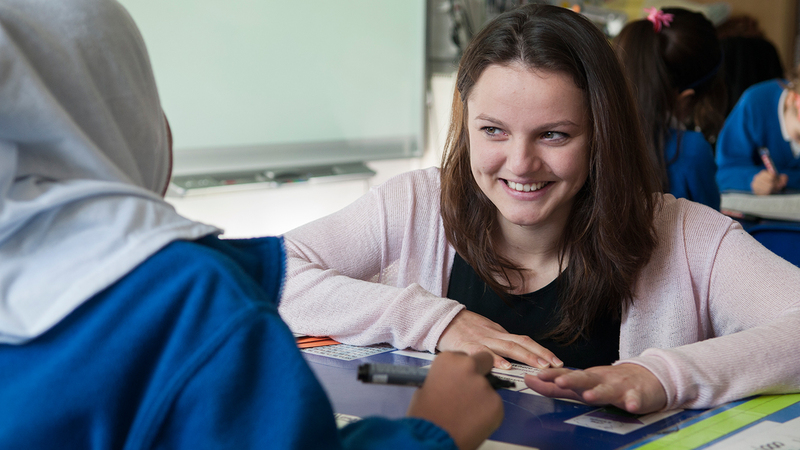 This innovative module looks at student learning and ways to improve classroom practice. There are regular portfolio tasks plus an action enquiry. The module is delivered via blended learning via web resources and materials and learning conversations. There are also optional face-to-face sessions. You will explore the pedagogy, systems an structures of learning in the classroom, and investigate current research into learning in order to improve practice. You'll reflect on your own practice and develop innovative approaches to learning. This is the step off point for the Postgraduate Certificate. The module is suitable for teachers and those working in educational organisations that have a formal or informal leadership role. You'll develop effective leadership and management, and apply the leadership and management strategies you learn to an improvement project. This module is suitable for anyone in education interested in developing practice. It provides high quality support, recognition and acknowledgement for teachers for you as your seek professional development and encourages you as a reflective practitioner and skilled self-managed learner. You will choose an additional module from above or this one. The main aim of this module is to help you enhance your research competencies and encourage you to critically explore areas of interest in your practice prior to starting your dissertation module for the MA. You will not be required to carry out a full research project but you will be required to explore why particular research methodologies and methods would be appropriate to investigating a particular issue or finding the answer to a specific question. The module will also increase your awareness of the kinds of practical research and development issues you may encounter in your professional work e.g. school settings, universities. This is the step off point for the Postgraduate Diploma. The Dissertation is the culmination of the students work on the MA Programme. Supported by their tutors it is an individual undertaking and the final responsibility to display their ability to plan and conduct an ethical research displaying mastery of complex and specialised area of knowledge.